An update on the Larry Bowa situation from last night, he was suspended today for 3 games. It was due to an argument with Ed Montague over his position in the third base coaching box. Watching Mets/Marlins right now. Hanley Ramirez got thrown out at second trying to stretch a single into a double. Oliver Perez is the Mets third starter, not quite sure why as John Maine is healthy and alive. My guess is so that Randolph can go lefty (Johan), righty (Pedro when healthy), lefty (Perez), righty (Maine) and whoever does the 5th starter gig. Andrew Miller, half of the key to the Miggy/D-Train deal, is starting for the fish tonight. He is still struggling with pitch counts and screwing around the plate, throw a strike for god's sake. Delgado (Carlos, not Roger) gets a RBI single to left ad the Mets are up 1-0. Oh and good news Mets fans, Angel Pagan is batting in the 6th spot tonight. I hope Moises Alou gets healthy quick.. In the Bronx the Jays are up 1-0, Paul O'Neill and Michael Kay are laughing hysterically, and Bobby Abreu was called out stealing second, although the replay showed he slid around the tag. Oh well. Onto channel 736-1, Pirates at Braves. Braves are up 1-0 and are getting a good start so far from Jair (Jar Binks) Jurjenns. He could become a good one. Back to channel 625, Ryan Church hits a two run homer, his first as a Met, 3-0 Mets in the 2nd. Ron Darling makes a great point that he feels Church getting off to a good start is key for the Mets offense. Oliver Perez strides to the plate, how the hell did he get so thin? Oh and Perez strikes out and can't even get a bunt down. Sad. Holy crap Jose Reyes drew a walk, that wouldn't have happened three years ago. Of course 3 years ago Reyes would be out with a sore hammy..
Channel 622, Robby Cano swings at a pitch in the dirt and the yanks go down in order against AJ "Contract Year" Burnett. Channel 625, Jorge Cantu's face still resembles the moon. Channels 620-1, the Celtics are up on Jim O Brien and the Pacers 32-22 in the first quarter. If they win tonight it will be the Celts first 60 win season since 85-86. 622- Mike Mussina is pitching for the Yankees, that is a head scratcher. Ian Kennedy and Phil Hughes? Mussina is one guy who really doesn't get alot of heat, but he should, For 5 years he was the highest paid pitcher in baseball, and the only great clutch game he ever pitched (the almost perfect game doesn't count) was in relief in game 7 of the 2003 ALCS. Oh and he now has served up a gopher ball to the anemic Vernon Wells, as Borat would say, "Nice! ", 3-0 Jays. 625-David Wright got thrown out at the plate, 1 out and Beltran on third. 736-1- Tom Gorzellaney walks a guy who is playing for Kelly Johnson tonight. 625-Angel Pagan has an rbi double and it's 4-0 Metropolitans. Apparently Pagan isn't completely awful. Oh and those stupid 2K commercials with Jose Reyes laughing at the clubhouse attendant need to go, immediately. 622- Jose Molina gets a base hit and was able to get to first without a throw from the outfield. If the Molina brothers raced the Blues Brothers in a relay race, who wins? Melky Cabrera swings at the first pitch and flies out to center. Good news Yanks fans, Johnny Damon has this year and next remaining on his contract. 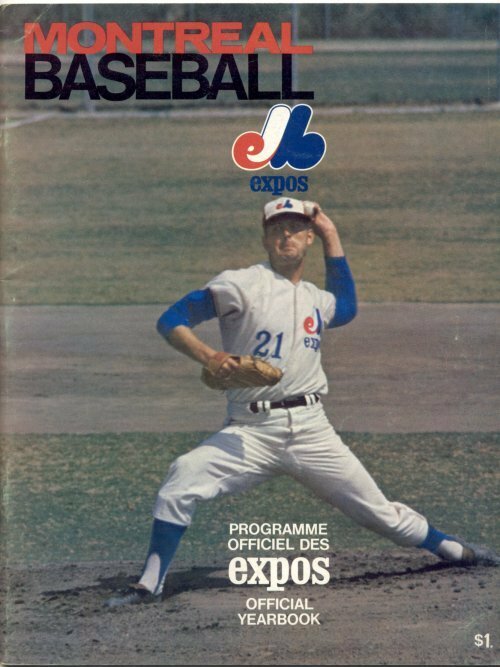 Boy I miss Jim Kaat in the booth for YES. Oh and Damon swings at a 3-1 pitch out of the zone and fouls out to the third baseman, inning over. Can someone start the countdown to the end of Damon's contract? Giusseppe Franco can go away at any time now. That fake hug with Nick Nolte is just awkward. 625- Hanley v Oliver. Ramirez is one of those players I will stop and watch hit, like Pujols, ARod, Ortiz, etc. Ramirez beats out a slow infield grounder, great hustle by Oliver Perez on that one. 622- Giambi with a putout to Mussina. There is 30 million dollars that won't be on the Yanks payroll at this time next year. 626-Nats and Phils are scoreless in the bottom of the fifth. Tim Redding starting for anyone's fantasy league tonight? Won't be watching this game much, no HD. Booooooo! 622- AJ Burnett is hurt. He is continuing on though because it's a contract year. Next year when he is starting for St Louis he will come out of the game as a precautionary measure. Mark my words. 641-1- Angels Twins are scoreless. Joe Saunders for the Halos and Jesse Orosco for Minny. Actually it's Nick Blackburn for Minny, but would you have been stunned if it really was Orosco? No, me neither. 625- Another homerun controversy, this time in Miami. Carlos Beltran had a homer overturned. This is the second one in two days that umps have gotten wrong (Varitek on Tuesday night was wrong too). Between these calls and the ChiSox/Tribe Opening Day, the umps are off to a rousing start. I was going to watch 647-1, but then I realized I don't care about the Cardinals at all. Rick Ankiel, hopefully without the help of HGH, gets a single to center. I wonder who gives Tony LaRussa a ride home after the game? 622- Oh look Latroy Hawkins is in the game and is wearing Paul O'Neill's 21. What a bunch of crap that is. Yanks are down 4-0. 626- Nats are up 1-0 in the 9th. If they start this season 3-0 that would be the single most awesome thing ever. 620-1 Jermaine O'Neal is playing for the Pacers. Gilbert Arenas is playing for the Wizards. On the same night. Wonders never cease. 622- Johnny Damon pops up again. I think I know why the Red Sox let him go so easily. Jeter hits into a double play. Did I mention AJ Burnett is in a contract year? 626- The svelte Dmitri Young is coming to the plate to face JC Romero. The Phillies have one hit tonight. Although this game is not in HD, it's the only one with any drama right now. 641-1 Minnesota and the Angels are scoreless. apparently the best sign in the crowd gets a 100 bucks worth of scratch off lottery tickets. Tonight the hot girls got the lottery tickets. 621- Knicks/Grizzlies. Maybe the worst NBA game ever. 626- Jon Rauch is closing again for the Nats. If Rauch does well, do the Nats trade Cordero? More importantly, can Rauch grow a goatee so he looks mean? Nats are 3-0 to start the season. Game, set, Nat! Cmon Matty let's do a radio show. I get a lot of reads, not that many people comment though. I have been thinking about doing some type of web radio show for awhile, I definitely would love to do it. You know, that tree that blocks your Directv signal could have an unfortunate accident?